Blue Islands say it is 'difficult to understand' why Aurigny would re-enter the market after 77,000 Blue Islands seats flew empty in 2018. Holidaymakers are being given the option to move to the Monday flight or to cancel their booking for a refund. Travel agents are trying to find an alternative charter airline and will let customers know as soon as possible. 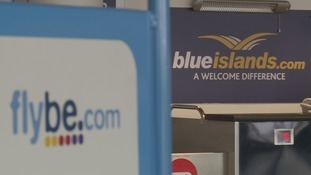 The prospect of a new Channel Islands airline has been welcomed by an Alderney politician. New airline, Waves, announced it would start operating flights between the islands and to the UK and France later this year. The Channel Islands will have a new Uber style air taxi service this year, with islanders being able to book flights on demand. Waves Technologies Limited have developed an app for bookings, similar to the popular taxi app. There will also be timetabled services, with up to four flights an hour. The fleet of planes will fly between the islands and further destinations to the South of England, Northern France and Europe will be added in 2018. Guernsey resident Nick Magliocchetti is behind the plans. He says 'this is only the start of the journey here and I look forward to Waves offering a modern alternative for everyone'. Do we need more direct flights to summer destinations? Guernsey's government owned airline Aurigny is pledging to bring back a summer service to a top European holiday destination next year.